Ever wonder what jokes get left on the Escapist News Network cutting room floor? If you're a member of The Escapist's Publisher's Club, you're about to find out. If you're anything like me, you fire up the latest episode of ENN every Wednesday morning to see the LoadingReadyRun crew mercilessly skewer recent hot-button issues. ENN is packed to the brim with funny, and you know what that means? It means that sometimes, there's just too much funny for one episode to hold. So sadly, the funny gets excised, left abandoned on the cutting room floor, where it remains homeless and forgotten ... until now. 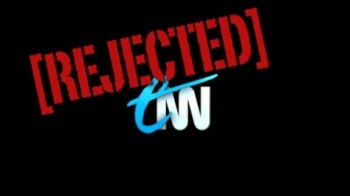 The Escapist is proud to present ENN: Rejected - the jokes from the always-talented LRR team that didn't quite make it into the episodes you see every Wednesday morning. This content is exclusive to members of our Publisher's Club - if you're a member, you can find it here. If you're not a member and find these little extra morsels of ENN goodness too tantalizing to ignore, then why not go ahead and become one?